in comparison with George W. Bush." We knew before he was installed as President of the United States back in 2000 that George W. Bush was a screw-up, had never run a business that did not falter, and was only successful at all because he "fell upwards" with the blessing and influence of wealthy family and friends. It was entirely predictable and was predicted by some of us that George W. Bush would do for the U.S. what he did for his various businesses in which he was put in charge, namely run them into bankruptcy. We can now see clearly how shrewd Saddam Hussein was and is in comparison with George W. Bush. 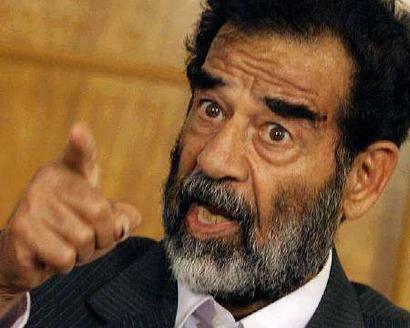 Saddam Hussein never needed weapons of mass destruction (WMD's) to defeat the U.S. In fact, WMD deployment against the U.S. would be disastrous, as they would invite nuclear warfare against Iraq or some other totally catastrophic response by the U.S. And the reality is that when Saddam Hussein obtained and did possess WMD's in the past (with the full knowledge, assistance and blessing of the U.S.) it was to defend himself against the Iranians and Kurds and other local threats to his rule. Hussein obviously knew that he could not use frontal military force to thwart an American invasion, and he certainly knew that the U.S. coveted Iraq's oil and geo-political posture in geographic and resource-based manifestations. Bush would one day surely want to invade Iraq, and Iraq could not defend itself with conventional tanks, airplanes, artillery and similar weapons of war (though those weapons were entirely appropriate for internal security of the Hussein regime within the Iraqi State). 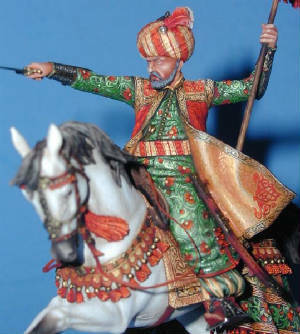 So, for years, Hussein prepared his military and his people to resist an American invasion by means of asymmetrical warfare, or guerilla warfare. Hussein dispersed weapons around the land and devised military tactics and trained personnel to fight effectively without concentrations of force and personnel that would be disadvantageous under U.S. military tactics of concentrated firepower.